He's also reportedly posted a second billboard on Highway 64 that depicts the White House ringed with Confederate flags, with the statement "I Have a Dream." Right, but this guy is totally not a racist. While Tyler believes the majority of the people in the county like the signs -- "I saw people taking pictures beside it right after I posted it," he tells WSMV-TV -- party and elected officials are speaking out against them. Tennessee Republican Party Chairman Ryan Haynes said in a statement, "There's no room for this type of hateful display in our political discourse. Racism should be rejected in all its heinous forms in the Third Congressional District and around the country." 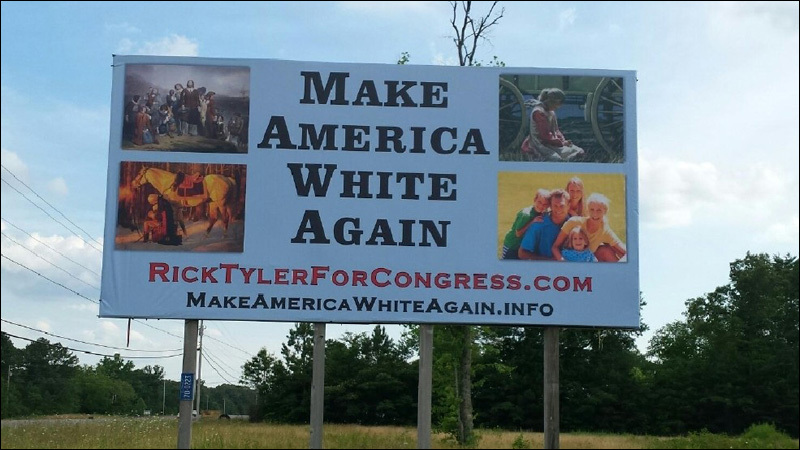 Congressman Chuck Fleischmann, who currently holds the 3rd District seat, also released a statement on the billboards: "I totally and unequivocally condemn the billboard and Mr. Tyler's message and will vigorously fight any form of racism in the 3rd district of Tennessee or anywhere else in the nation." But you know what? 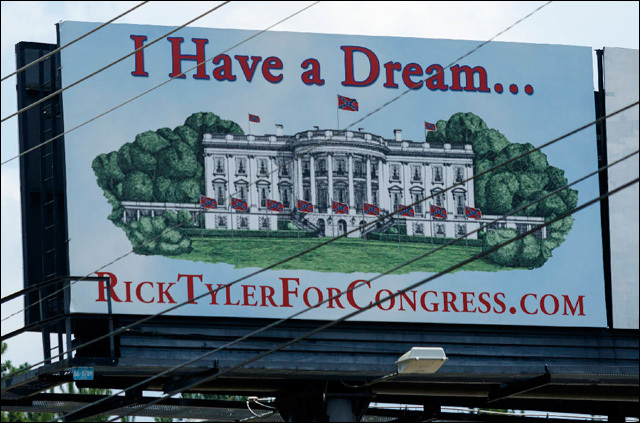 If Rick Tyler is actually elected in November, those voters get exactly what they deserve.